May I draw your attention to the rather architecturally undistinguished white office tower in the middle of this picture? Today, it's the Bank of America Tower. When built, in 1970, it was the Gammon Building, named after the still - prominent HK construction firm who built it as a speculative office block. It was once at the centre of the greatest corporate bankruptcy in Hong Kong's history - the Carrian case. In which we shall meet George Tan, a Singaporean engineer, discover the true meaning of money Laundering, the murder of a Malaysian auditor and the reason why the 46 year old John Wimbush, the senior partner of one of the colony's leading law firms, Deacons, jumped into his own swimming pool with a manhole cover round his neck..At this point I have to be very careful; not only have we reached the point where I was living in HK but many of the participants in the Carrian affair are still alive. I believe that the best approach may be to give the generally accepted facts, to provide some links which people who like conspiracy theories may enjoy following up, and to describe the effects on the man on the Kwun Tong omnibus. With twenty-six years of hindsight, the Carrian affair and the Singaporean and Malaysian scandals with which it was linked can be seen as effects of the rising tide of wealth in East Asia as the "four tigers" (HK, Singapore, Taiwan, South Korea) "took off". George Tan was a Singaporean engineer working for a construction company in Hong Kong. 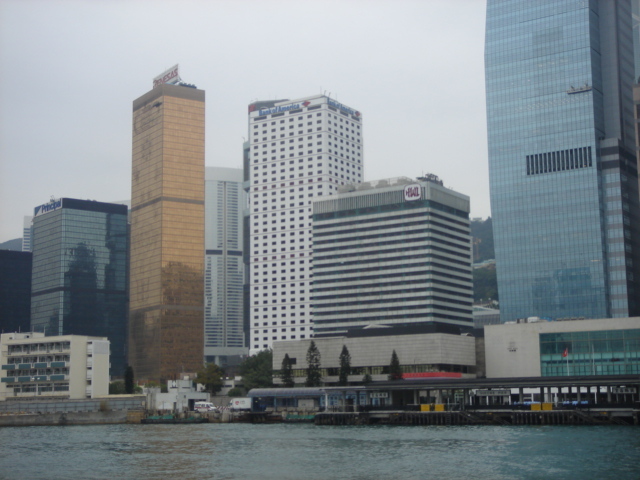 He formed a company called Carrian, which acquired the Gammon Building (see above) for HK$998M, and a few months later announced that it had sold it for HK$ 1,688M. Mr Tan was suitably vague about who his backers were - rumours suggested the Marcoses, wealthy overseas-Chinese of one sort and another, and so on. The Gammon House deal seemed at the time like the biggest ever coup in Hong Kong real estate. Carrian had some very pukka advisers - Deacons, one of the two heavyweight law firms in Hong Kong (the other, very much still with us, was Johnson Stokes and Master) as lawyers, Price Waterhouse as auditors and Wardleys, the merchant banking arm of the Bank, as financial advisors. A joint venture with Hong Kong Land, the real estate arm of the Princely Hong, was announced. They were heavily tipped by very serious stockbrokers, notably Vickers Da Costa. Sure enough their share price took off like a rocket. Carrian diversified into insurance, shipowning (there was a modest shipping boom going on at this time) and, curiously, taxis. I suspect that it was the taxis that were the start of the trouble. Very few people know anything about buying and selling and leasing commercial properties, or shipowning, or insurance, but taxis are no big mystery - ordinary people own and drive taxis. Certainly Hong Kong had then, as it has now, plenty of privately owned taxis. People knew how much you make from owning a taxi. Not a huge amount. Now Carrian had the biggest, newest, shiniest, most comfortable fleet of taxis in Hong Kong. Yet their fares were the same as those of every other taxi. Good, because I am still blessed if I understand all of it. What is clear is that the Hong Kong property market took one of its periodic nose dives, in 1982, bringing down the tottering house of cards that was Carrian, and not doing much for the long established Hongs, like the Princely Hong, whose Hong Kong Land subsidiary had just finished building the extremely ritzy Exchange Square office complex, gearing themselves up accordingly, just in time for the downturn, which left them looking - horrors! - vulnerable to a hostile takeover by Li Ka-Shing's Cheung Kong group... they practically gave away their shipping company, which they had expanded in the boom, to get out of that one. All of which triggered the run on the Hong Kong Dollar noted above. The start of the trouble lay with the New Territories leases; by 1977 there was only twenty years left to run on the ground lease so the Government could only grant twenty year leases in the New Territories, which was not really viable from the developers point of view. Plainly, the problem was only going to get worse. In March 1979 Sir Murray MacLehose paid a visit to Beijing, pointing out the problem and suggesting that an extension to the lease would solve it. Hong Kong folklore, or urban myth, has it that if he had not stirred up Deng, matters might have gone on quite comfortably, but this view does not deal with the New Territories leases problem. At that time Deng had only just disposed of the Gang of Four and he had other things on his plate; no answer was forthcoming, except for an insistence that "Hong Kong must be returned to China". Enter Margaret Thatcher, who wanted the problem sorted out. She sent Sir Edward Heath, who had known Mao, and who was a close friend of Nixon and Kissinger, to Beijing, as her emissary. I came to know Sir Edward in his final years and I recall his account of this meeting. Sir Edward Heath lived in a really rather fine Queen Anne house in Salisbury Cathedral close. "Deng waved his finger at me, like this" (Sir Edward waved his right hand in a small gesture, with the forefinger held rather crooked)"and said "Tell her..." at which point one of his aides scuttled up to him and said presumably, that Mrs Thatcher and I did not get on, because Deng rounded on him and said "I know that! - Sir Edward is here officially - of course he's going to tell her - that's what he's here for!" "Deng said "Tell her that we are not prepared to wait - I am not prepared to wait - and the question must be sorted out very soon, or I will take action!"" "So that was the message I passed on, of course." More seriously, what Heath got from Deng was the message that China wanted the issue settled by negotiation between the two Governments. This was only moderately good news. For one thing, there were actually three Governments interested in the matter - the Government of Hong Kong wanted a say in the matter, and at one point Legco passed an unanimous resolution demanding a seat at the conference table. This enraged the PRC government who saw a British trick here, trying to "play the democracy card". The PRC had paid attention to the Falklands War. Another little problem was presented by the treaties governing Hong Kong's status - in the eyes of Britain they were binding international treaties but in the eyes of the PRC they were "unequal treaties" and had never been valid, so why should the PRC be bound by them? This mattered because the British thought that they were discussing the lease of the New Territories whilst the PRC thought that they were discussing annulment of the last remaining Unequal Treaties, which meant that they expected the return of Hong Kong and Kowloon and not necessarily in 1997 either. Initially, Thatcher wanted to extend the lease; from her point of view the status quo was beneficial to both countries so why not continue it? The Chinese view was entirely different; they wanted the return of Chinese territory and they wanted to add to the prestige of their Government by securing the repeal of the last Unequal Treaties. Over and above these misunderstandings were some much bigger issues. What the PRC Government really wanted was the return of Taiwan; Hong Kong was a small potato in this scheme of things. Britain had never handed over people that it ruled to anything other than an elected Government. The Hong Kong people were clearly not going to vote for a return to the regime that half of them had just escaped from and the other half hadn't voted for. The PRC wanted Hong Kong's wealth, but there was no sign that they understood "what makes Hong Kong tick" any better than the Japanese had done in 1941. The scene was set for a major confrontation. Permalink Submitted by philk on Fri, 2010-12-03 21:04. JSM merged with Mayer Brown to become Mayer Brown JSM a while back (2008?). Permalink Submitted by Andrew Craig-Bennett on Mon, 2011-12-05 00:14. Thanks for the correction. I have never udnerstood why they did not merge with Norton Rose after all those years together. Permalink Submitted by Kim Shamash on Wed, 2016-11-23 01:31. Do you have any links to further specific information about John Wimbush and whether he had some sort of posthumous trial? It looks as though he may have had 2 inquests, one without and one with a jury.